Now you can take the Wrangler you love with you to work. Wrangler is made to self-extinguish protecting you from burn injury on the job. 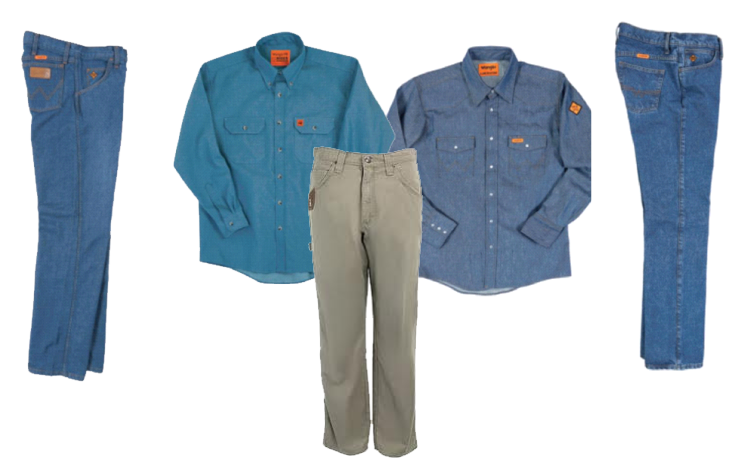 And with fits built for comfort and durability, you can work safer in the style you get only from Wrangler.